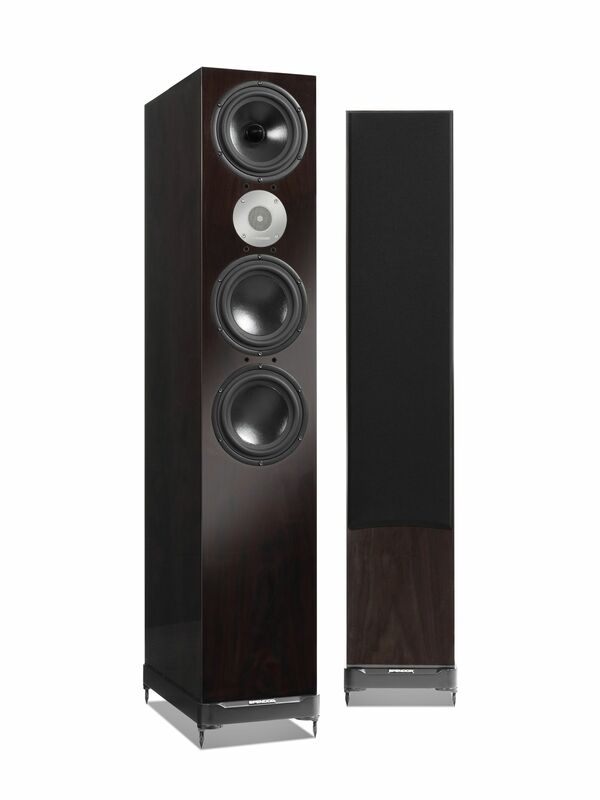 The Spendor D9 speaker is a four driver, 3 way floor standing speaker with the tweeter positioned, unusually, below the mid-range drive unit, the two bottom drivers deliver the bass. 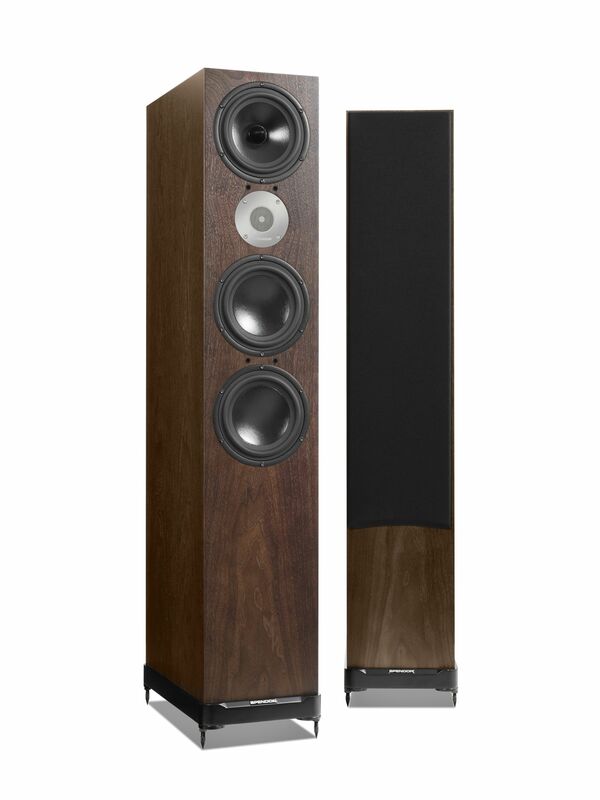 The new Spendor D-Line loudspeakers combine cutting edge research and technical innovation with real-world design. They bring captivating sound quality to the music you love and fit easily and unobtrusively into any setting. Compatible with all good amplifiers, the floorstanding D7 and D9 deliver exceptional resolution and low-frequency power, communicating a vibrant realism to music of all genres. With their slim enclosures and smart modern finishes, they’re easy to place in dedicated listening rooms or everyday living spaces. All D-Line loudspeakers draw on our research into cabinet damping, advanced polymers, amplifier-loudspeaker interface, low-frequency airflow and sound behaviour. 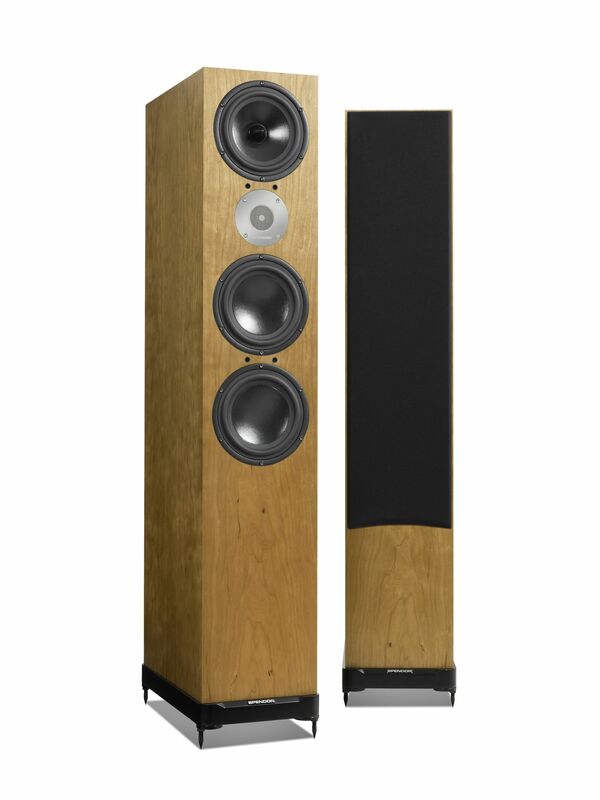 An inspiring and satisfying choice for audiophiles and discerning music-lovers. The Spendor D9 builds on the Spendor D7 with one more drive unit. 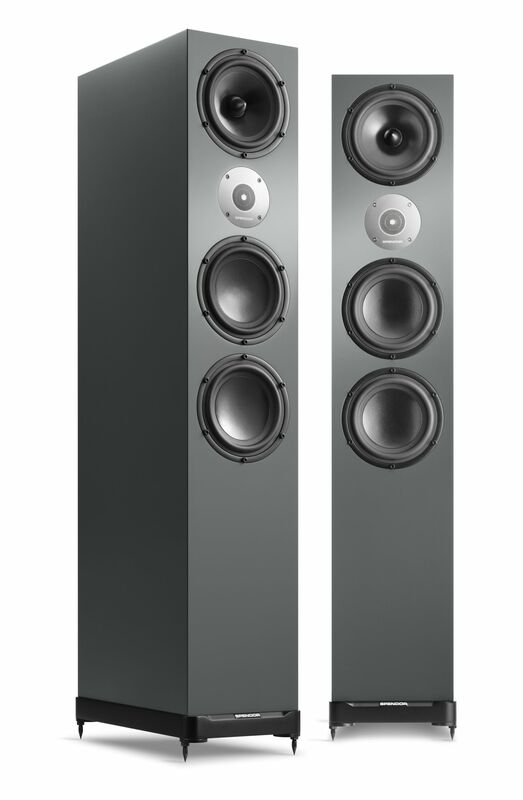 Both the D7 and the D9 employ a 5G linear flow port at the back and have one set of recessed speaker terminals. The D9 uses size, two bass drive units and the 5G (fifth generation) linear flow port to extend the low frequency response. Spendor quote a frequency response for the D9 of 27 Hz to 25 kHz. Sensitivity is a very reasonable 90 Db for 1 Watt at 1 metre with a nominal impedance of 8 Ohms. 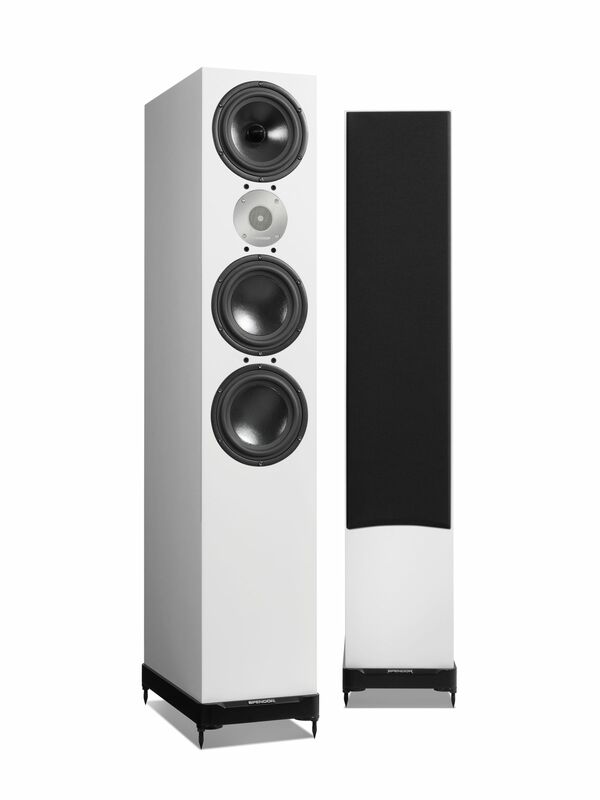 Both asymmetric aperture bracing and dynamic damping result in a silent cabinet and a fast clear sound. The four feet supporting the cabinet can be levelled and are attached via forged steel inserts for stability of the cabinet. Power handling is 250 watts unclipped. The four drive units in the D9 are all built by Spendor and are HF – Spendor 22mm, LPZ polyamide dome, Mid – Spendor 18 cm EP77 polymer cone and Bass – 2 times Spendor 18 cm EP777 polymer cone.